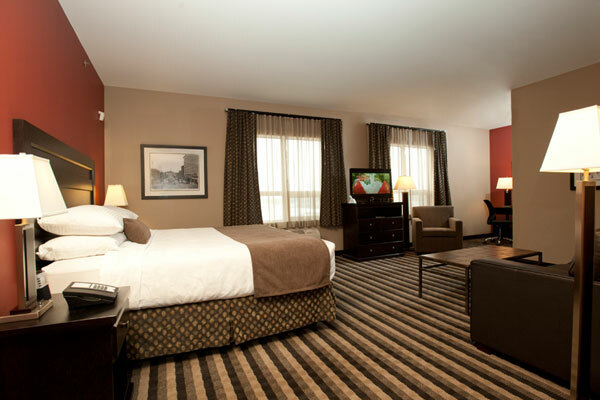 At the Best Western Blairmore, our Saskatoon hotel rooms are designed for the 21st century, offering modern amenities and unparalleled comfort. 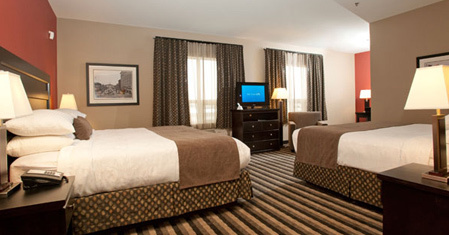 These tastefully appointed rooms and suites are available in a number of configurations to suit your needs and budget. 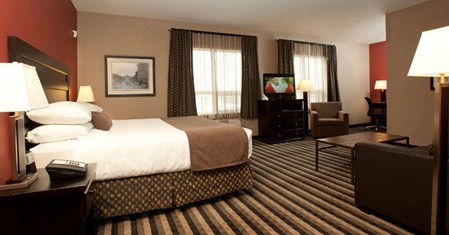 When you’re ready, make your Saskatoon hotel reservations with us online. 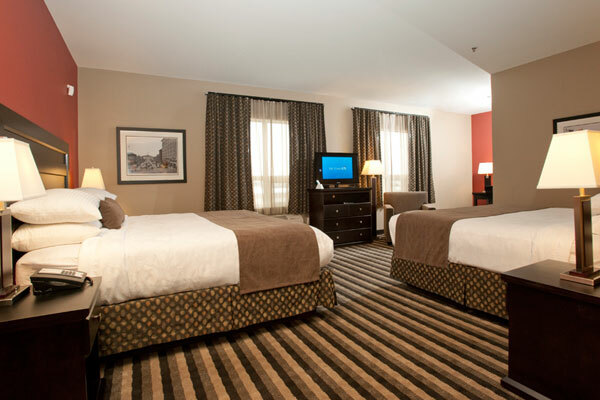 Perfect for a family, our Double Queen Room with two queen beds features the same premium, high thread-count linens, HD TV, Wi-Fi and more. 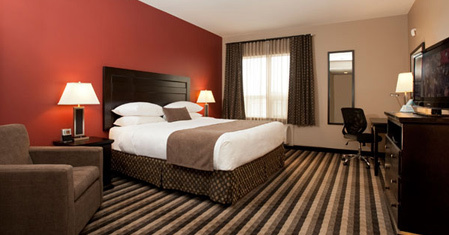 Our Executive King Room offers spacious and comfortable accommodation with one king bed and a queen sofabed. The room features a deluxe, oversized bathroom with double sinks, a walk-in shower and luxurious Jetted Tub. 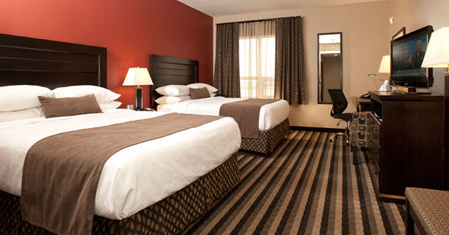 You'll also enjoy premium linens, HD TV, Wi-Fi, an ergonomic workstation and much more. 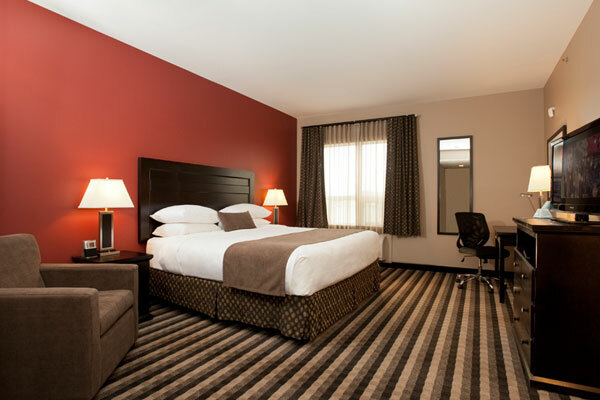 Much like our Executive King Room, but with two king beds, the Double King Room features a deluxe, oversized bathroom with double sinks, a walk-in shower and Jetted Tub. 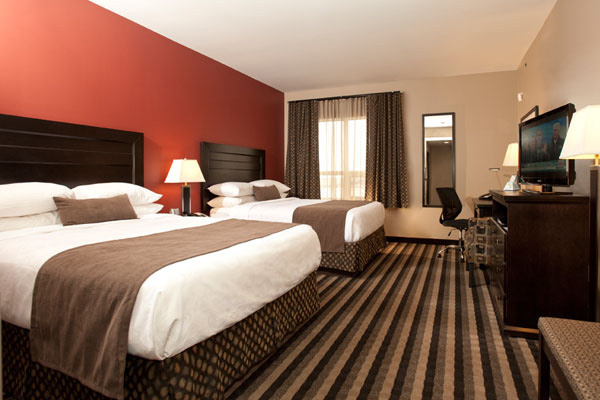 Premium linens, HD TV, WiFi, and an ergonomic workstation and are all standard. For guests with disabilities, our partially Accessible King Room feature all the premium-quality trappings of our standard room but offer wider doorframes, and accessible shelving.